The positive signs of recovery are not just welcome news for the business owners but also for many employees, as work for many the past few years may have felt more like an emotional roller coaster. Restructure, budget cuts and redundancy have become bywords in the workplace, and the result is increased fear, uncertainty, greater work demand all resulting in and higher levels of stress. The negative effect of workplace stress should not be underestimated. No job is without its pressures, in fact, some pressure can be positive and a motivating factor, helping employees to achieve goals and perform better. However when an employee feels excessive pressures, such as feeling they lack the skills, support and direction to do the job this can result in workplace stress. Some workplace pressure is normal, but excessive stress can interfere with your employee’s productivity and is linked with high levels of sickness absence, staff turnover and other issues such as more errors. 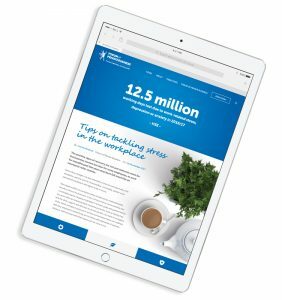 Employers are increasingly realising that a stressful environment is damaging to their reputation and retention, and are beginning to see the need to put the correct preventative frameworks in place as an integral part of their health, safety and welfare policies. So what can an employer do to reduce the likelihood of workplace stress? As with any other potential health and safety risk assessments, this will help to identify potential workplace stressors and training needs, management support needed to reduce any identified problems. To clearly communicate to staff that work-related stress is not a personal problem, but an issue that the company takes seriously and is keen to address. Any management training should also recognise that managers are not minded readers and that they should also receive guidance how to monitor signs of workplace stress, such as excessively long working hours, attendance. It is also worth considering factoring questions in appraisals on how employees are coping with the pressure in performance appraisals and talking to leavers in exit interviews to establish is pressure was a deciding factor in their decision to leave. Any assessment and management training should also be supported by a clear stress policy that outlines the company’s acknowledgement of the potentially damaging effects of workplace stress and the commitment to identify and reduce the effects. Staff responsibilities in effective stress management (Line Managers, employees, and HR managers).